Owning a home is what most Filipinos dream of. 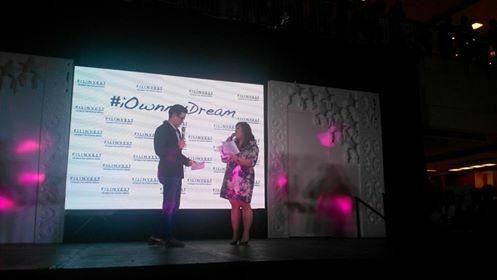 And Filinvest Land, Inc. (FLI) continues on with its advocacy in building the Filipino dream through its campaign dubbed as “I Own My Dream,” at the recently held week-long Filinvest Home Expo 2016 at the Festival Mall in Alabang, Muntinlupa City. 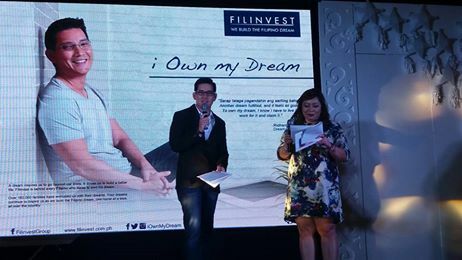 Filinvest’s “I Own My Dream” campaign aims to inspire more Filipinos to dream and own their dreams around the world. Fulfilling the Filipino’s dream has always been the motivation behind the Filinvest community as it expand its diverse portfolio of residential developments. 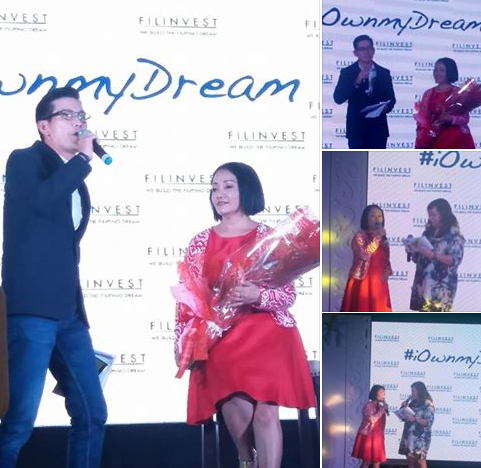 Filinvest Brand Ambassador and Dream Advocate, Richard Yap, graced the recent Filinvest Home Expo to urge Filipinos to dream big, and achieve their dream of owning their own home. Now on its 8th year, the annual Home Expo provides a unique opportunity for anyone to find the dream home that suits their budget and lifestyle. It provides a venue where Filinivest showcases its developments in Alabang, Cavite, Laguna and Batangas under its brands – Futura Homes and Filinvest. Featured projects included Nusa Dua – a Balinese-inspired residential paradise situated in Tanza Cavite, well-suited for would-be hobby farmers, and Montebello, a tranquil enclave within Ciudad de Calamba, with a breathtaking view of Mt. Makiling. Filinvest also offers affordable communities like Futura Homes in San Pedro Laguna, and the quaint townhouse units of La Brisa in Calamba for those looking to invest in their first home. Richard Yap identifies with the persons in the video. Like most Filipinos, he started out as a regular employee and a part-time entrepreneur who dreamed of providing the best for his family before becoming a celebrity. When asked what advice he has for those looking for homes to start their own families he advised to pick a reliable developer such as Filinvest. Filinvest could them settle down in a nice neighborhood that lies in close proximity to schools, malls and transport facilities in a vibrant community. Do check out Filinvest's living testaments to the age-old adage that dreams come true through hard work and perseverance by viewing the videos at http://iownmydream.com.ph/ .